Ronaldo apologizes to Manchester United supporters after celebration on Wednesday. 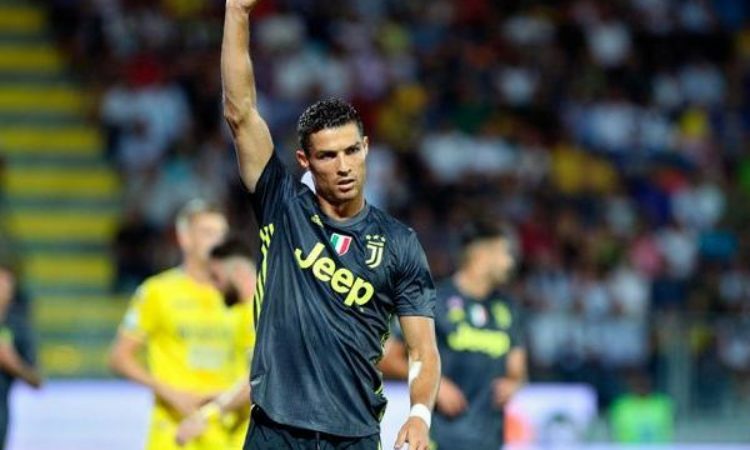 Portuguese footballer Cristiano Ronaldo has taken his time to personal apologise to Red Devil’s faithful after what was his strange celebration following his first goal of the 2018/2019 UEFA Champions league at Turin. The former Real Madrid attacker, who played his first game at Turin as a Juventus, rewarded the home supporters with a sublime goal in the second interval, after a disappointing first interval which has seen Khedira hit the wood-work. However Juan Mata levelled for the visiting team, while late own goal from Alex Sandro was enough for Manchester United to steal all three points. Ronaldo on scoring his first goal of the current edition of the continental showpiece celebrated the goal by showing off his abs, which according to a trend current football was perceived to be wrong by some sections of the media. Footballers had celebrate against their former employers, and Ronaldo understanding what he did, seemingly felt disgusted with it.